Let’s be honest. Not every injury needs to be seen by a doctor. Whether you’re a college student or a busy entrepreneur, there are first aid basics that you should know. You may think I’m just one of the many bloggers. What do I know about first aid? 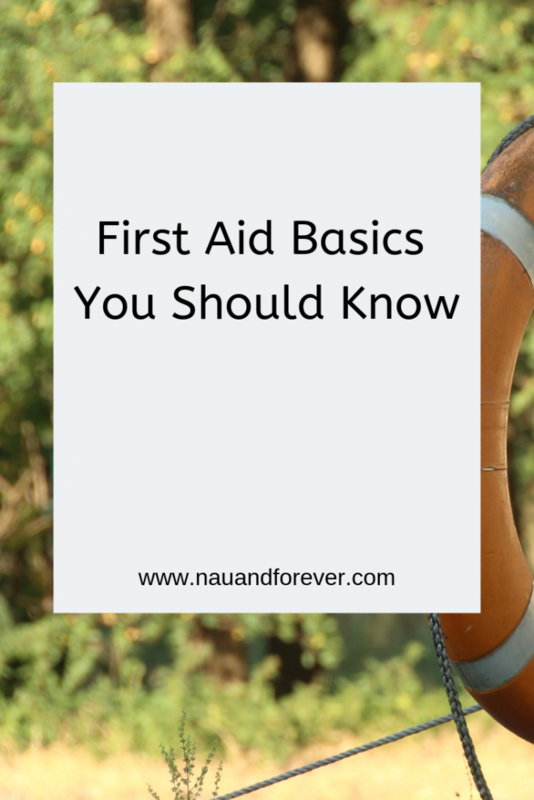 Check out some of these first aid basics that everyone should be aware of. They might be small but burn yourself on a stove or iron and you really know about it. If your burn isn’t too large then this is certainly something you can treat at home. Turn off the source of the heat to prevent further injury and get the area under a cool tap as soon as possible. It doesn’t have to be ice cold, lukewarm will do. hink you might be done after five minutes? Think again, a burn can work its way through several layers of skin over time so you need to keep your affected area under water for around half an hour to prevent further injury occurring. Do not cover the burn of put anything on it at this stage, just the water. Take painkillers if the pain is severe. You will need to see an emergency physician if the burn is particularly deep, if the skin looks charred or if the burn was caused by a chemical; otherwise you’ve got this. If the cut is bleeding a lot you can you slow it down by raising the affected part above the heart, so if your hand is cut, hold it up in the air and the bleeding should slow down. Similarly, if it’s on a leg lie down and raise the leg for the same effect. Put pressure on the cut area to stop the bleed and as soon as it does get it washed under clean water, patted dry and covered with a sterile bandage to stop infection. If the covering is truly sterile and the wound is clean, that’s all you’ll need to do to prevent infection. Channel your inner medic and treat these minor injuries at home before you make a trip to the emergency room. But if you are worried that it might be more serious then follow your gut instinct and don’t take any risks. Want tips on outdoor fitness safety? Check out this post!